BOOK OF THE MONTH FOR AUGUST 2015. A fascinating study of a royal figure largely ignored by most English-language royal authors. Sabrina Pollock not only examines the life of this complicated woman but also provides an insight into the last decades of the Portuguese monarchy, overthrown in 1910. Maria Pia had a temper, but was not a scold. She was as extravagant as she was charitable. She was intimidating, but emotionally fragile. The list goes on. Unlike most women of her era and station, Maria Pia was a hands-on mother. Her love and devotion to her children are among her most admirable traits, matched only by her love and devotion to her adopted country. 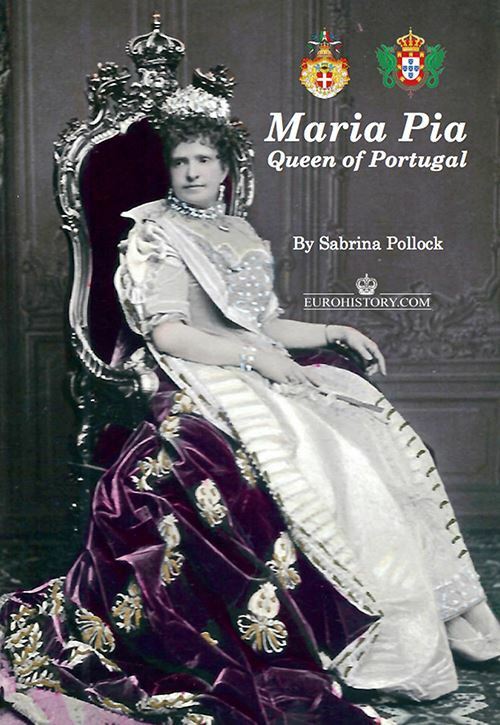 Handsomely illustrated and well-researched, 'Maria Pia, Queen of Portugal' is one of the most intriguing royal stories published recently.